You’ve said before that you found inspiration in Super Mario Bros. 3’s Tanooki Suit, but were there any indie games that actually inspired the concept and design of Owlboy? Or did you try to create something that you found lacking in the industry? I think I can answer that with we were definitely searching to do something no one had done before and part of our design principal was making sure that the game felt unique and would not be necessarily compared to something else. Of course back then we played a lot of indie games, Cave Story certainly demonstrated that this sort of thing could be done with a small team, while not a direct inspiration. And you have to remember the indie community at that point was…very fragmented and not very well established so you would go online and play something strange and maybe not remember it later. Getting Owlboy to release was a long, ten-year journey. When times got hard during development, how did the team keep its spirits high and keep itself from giving up? The most important thing was that to some extent we knew what the game was going to be and what the vision for it was. Of course we with any project you hit difficult spots. Relying on each other and our enthusiasm always helped, but while it might seem cliche it was honestly our fans that gave us the biggest boost. Going to conventions, seeing people’s enthusiasm, both when talking about and playing the game made the whole process feel worth it. We would regularly travel to conventions to give the team a boost, and of course it always helps to have amazing friends and family to cheering us on. How similar is the finished product of Owlboy to the initial concept D-Pad Studio initially began building? Very little of the original game is left from the old demos. We’ve remade every area of the game several times over, and gameplay concepts have changed along the way. Probably the biggest change came when we discovered the red thread that connects the entire story. In the beginning the game was largely gameplay focused with story more as a general outline to allow different forms of play. When we finally discovered what the main element of the story was going to be, story became a much larger focus and the structure very much changed. Areas were cut, dungeons restructured and the gunners purpose changed. All that said we always had a rough idea of what the game was meant to be so while the game has changed a lot in the last ten years the vision was always pretty consistent. 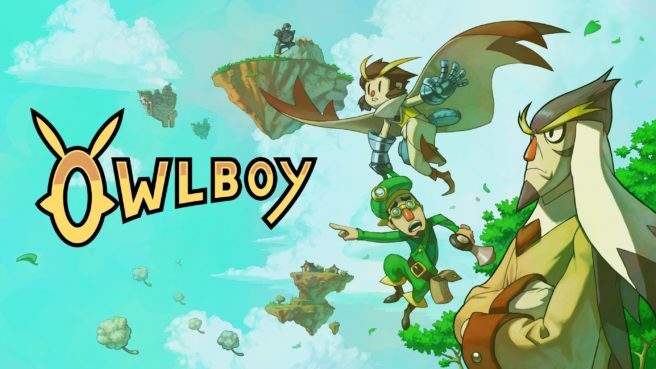 While Owlboy originally launched in 2016, it’s just now coming to consoles. At what point did you begin to think about bringing the game to Switch? Originally the game was developed for the Xbox 360. It was made as an XNA prototype to be launched on the Xbox Live Arcade platform, so you could say that the plan for console release was already in the cards back then. When it comes the Switch specifically we were doing an interview about the upcoming PC launch on the day the Switch was announced. We ended up watching the reveal live together with the journalists and already noted back then how good of a fit the game was for the system. I’m pretty sure we had the idea to put it on switch pretty much the second we saw it. How closely have you worked with Nintendo on the Switch release? We were surprised to see that the Switch version was announced out of the blue in one of Nintendo’s Japanese videos last year! We’ve been working very closely with all branches within Nintendo, and got in touch pretty early with the Japanese branch for the switch reveal at BitSummit in Kyoto. Did you encounter any issues along the way in bringing Owlboy to Switch or was it a relatively smooth process? Game development is always difficult, and the Switch was no different. In terms of getting the game to run on the system it was surprisingly painless considering how old our code base was. We are very pleased it all worked out in the end though. How did the physical version and partnership with SOEDESCO come to be? We had previously launched physical edition of owlboy through indiebox for the PC launch and were very much hoping to provide a retail edition for the console launch as well. We spoke with a number of people and Soedesco seemed like a good fit. We are very excited to see how this works out as we haven’t done this kind of thing before. FIngers crossed! Has D-Pad Studio already started working on another project different from Owlboy? Is this the last of Otus story? D-Pad Studio has a multitude of potential projects in the works, but like always it just comes down to which one we decide to focus on next. We have some very exciting things to show you in the future. 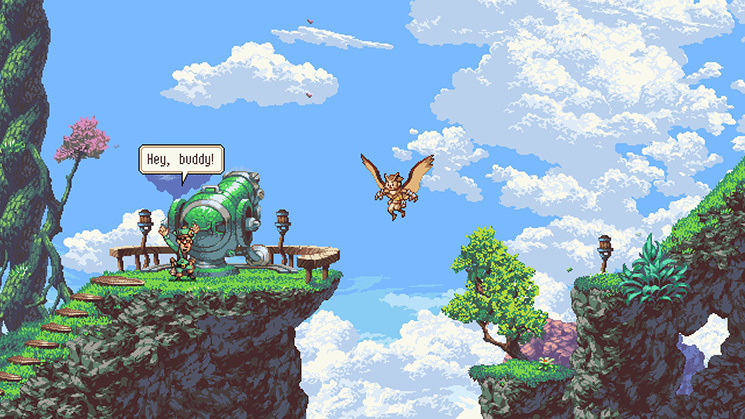 As for Otus, there’s a lot of different stories that we hope to one day be able to tell but we suspect the next time you see a story in the Owlboy universe you may not realize it at first. Speaking of D-Pad Studio’s next project, is there anything specifically that caused you some problems during Owlboy’s development that you definitely want to avoid the second time around? There are plenty. Given that we started development without any industry experience we made every mistake possible and for that we learned a lot. This means the for our next project we will be considerably more prepared, though if we are to mention specifics, designing an entire game at once without the option to cut one part away is certainly something we will try and avoid next time. Finally, if Otus were to become the newest fighter in Super Smash Bros., what would his Final Smash be? We have quite a few, in fact we’ve even considered what Otus would be like in a fighting game, though most of these would be spoilers if you haven’t played Owlboy already, so as an alternative suggestion getting carried away by Boguins (the little purple penguin guys in the shops in Owlboy) and stuffed into a canon is a good one. Though something involving all his gunner friends as a team attack would be an absolute must! Nintendo Everything would like to thank Simon Stafsnes Andersen for taking the time to answer our questions.